The 1986 Chernobyl disaster was the worst nuclear power plant accident of all time, claiming numerous casualties and affecting hundreds of thousands of people. 30 years later, the site of the accident and the ghost town of Pripyat are popular tourist destinations in Ukraine for those who want to experience something different. 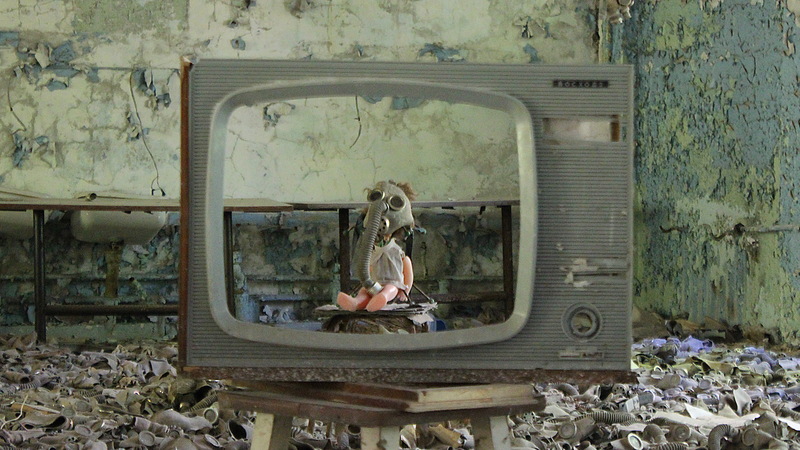 Chernobyl is one of the strangest tourist destinations in the world. Thus, it was very fitting that some of the members of our North Korean tour form last year decided to hold a reunion there. Here’s a summary of the day tour in words and pictures. 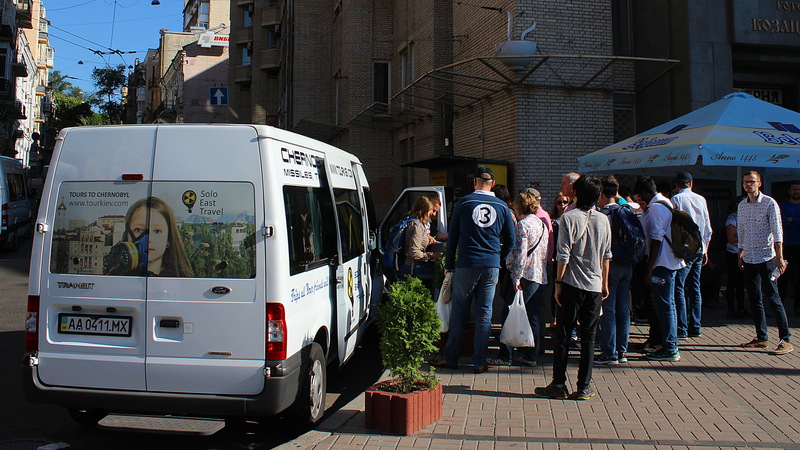 The 10-hour-trip started early in the morning at the Maidan Square of Kiev. There were about 30 tourists at the meeting point, but we were split up into smaller groups for the tour, which made the experience feel more intimate. 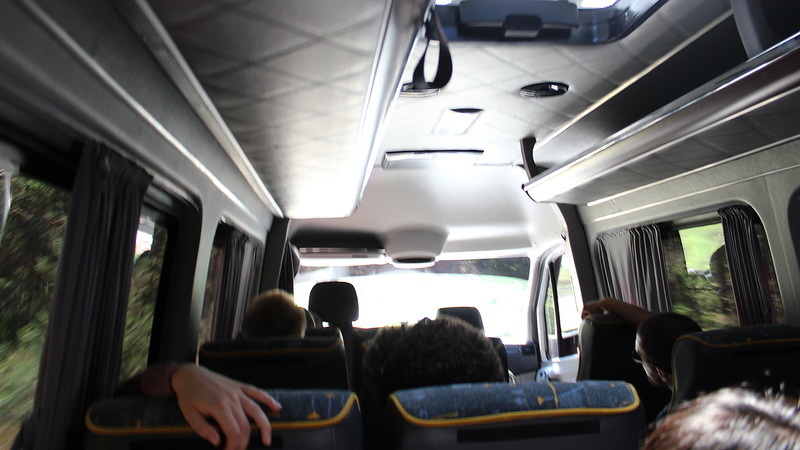 The minibus ride to the destination took about an hour and a half. We first watched some interesting news broadcasts and a documentary about accident before our group’s guide Alex joined the ride. Before becoming an official guide, Alex had already visited the site numerous times illegally. 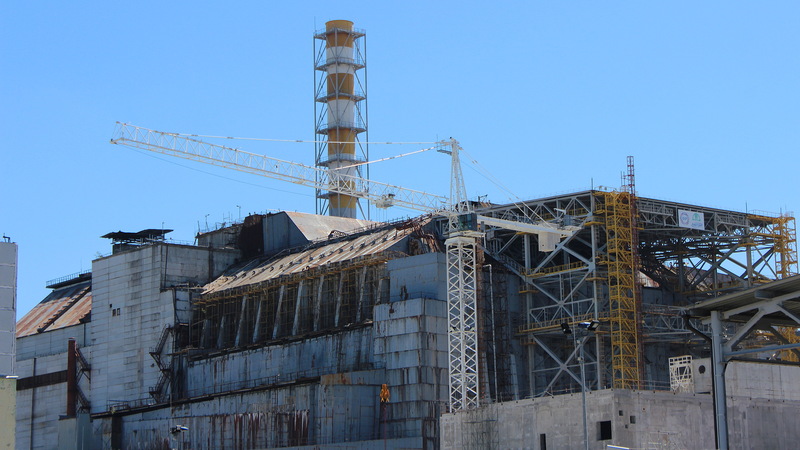 Is Chernobyl safe to visit? 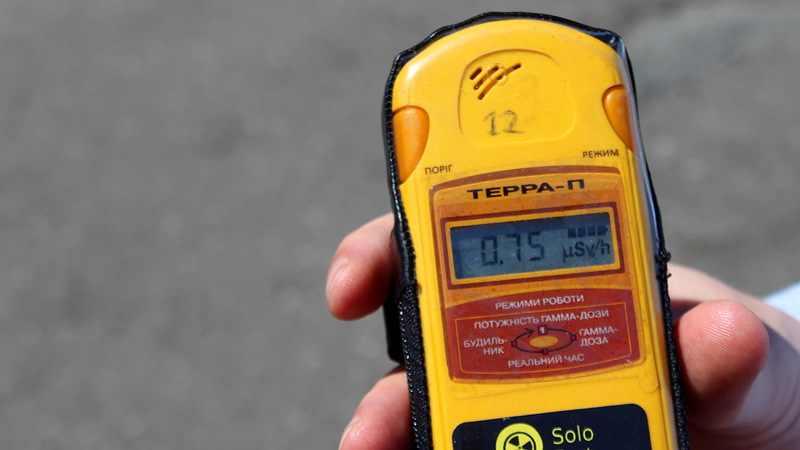 A popular misconception is that the radiation levels in the area still extremely high. In reality, flying on an airplane will expose the passengers to radiation levels even ten times higher than the average levels of the Chernobyl tour. You also don’t need any special equipment to visit the tour. Shorts and sandals were prohibited and the instructions warned a lot of about the radiation, but otherwise you could wear all your normal clothes. Many of the safety instructions even felt a bit overscaled. This might be done on purpose by the travel companies to make the trip sound more adventurous and extreme than it really is. Chernobyl is simply safe to visit. …this thing. 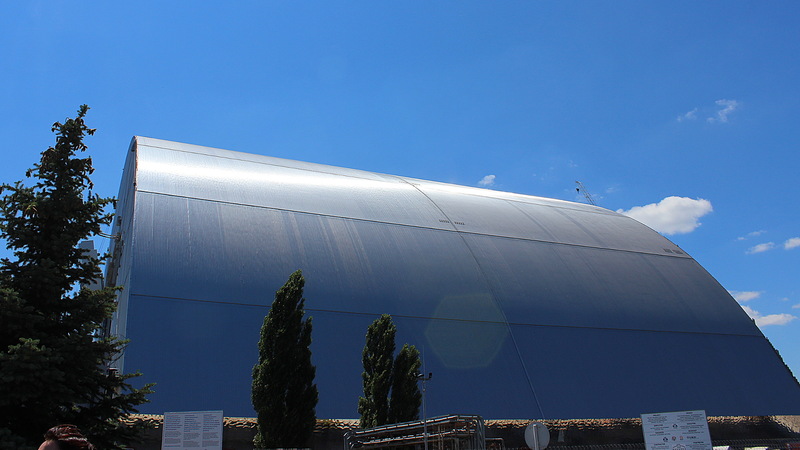 The new shelter is so huge that the first sarcophagus will fit inside it. When the new structure is finished in late 2017, it will be moved on rails to it’s final position. The budget for the building project has been over 2 billion euros. A normal sight while visiting Chernobyl. The beginning of the trip felt like a rather traditional tourist tour, with short stops on sights and almost all of the group members taking plenty of pictures with their cameras and cell phones. 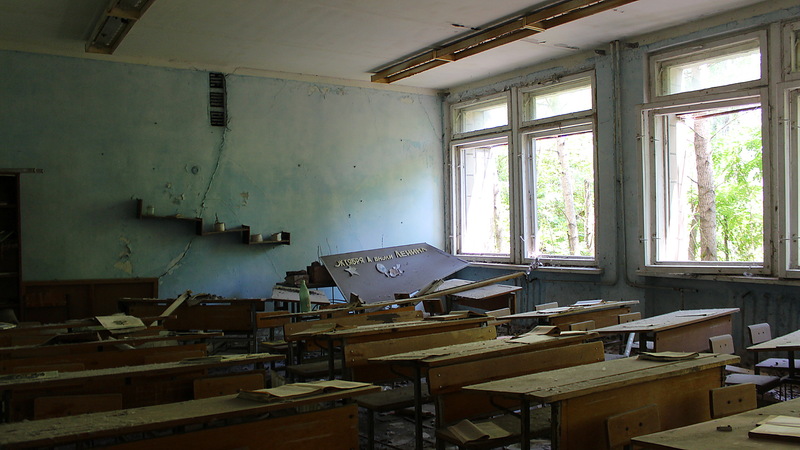 Luckily, the second part of the tour was a lot more engaging as we visited the evacuated ghost town of Pripyat. 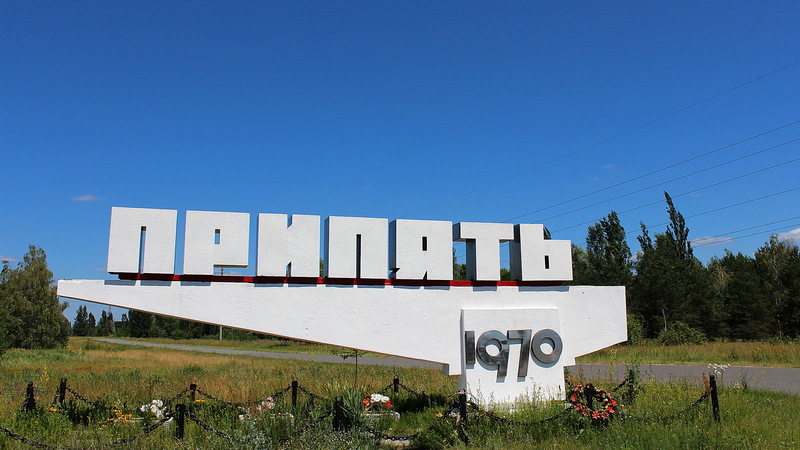 The town of Pripyat had about 50,000 residents at the time of the accident. The city was built for the power plant workers and their families. Lots of families with children lived in the city at the time of the event. A torn poster at the back room of a cinema. Many of the items on the site had just been left around, while others were clearly set in plain sight for tourists to see. 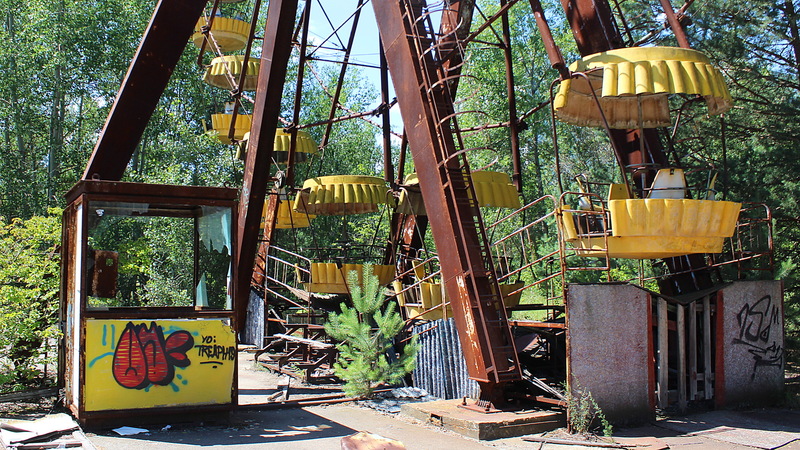 The Ferris wheel in the Pripyat Amusement Park has become a symbol of the disaster. The small park with just four attractions was finished in spring 1986, just before the accident. The speed of the forestation is clearly seen here. This field was a football field 30 years ago. 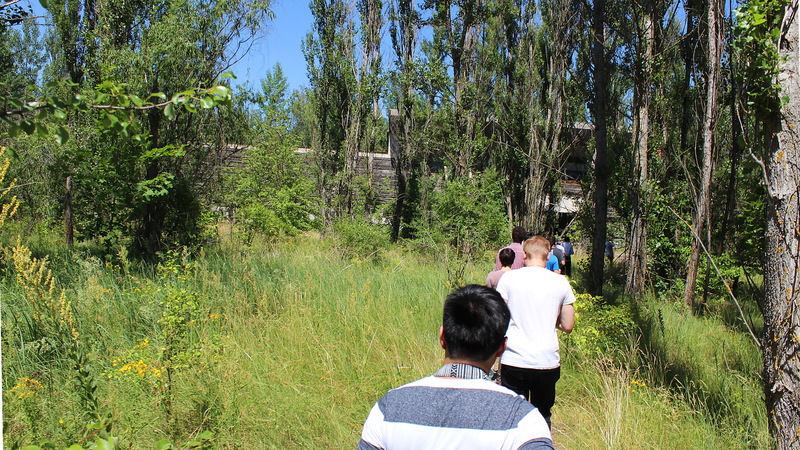 The best parts of visiting Chernonbyl and Pripyat were the times when we were given the chance to freely explore different spots in the city. We would visit one destination for 5-20 minutes before regrouping and moving to the next destination. These moments made the place feel like an urban explorer’s paradise. 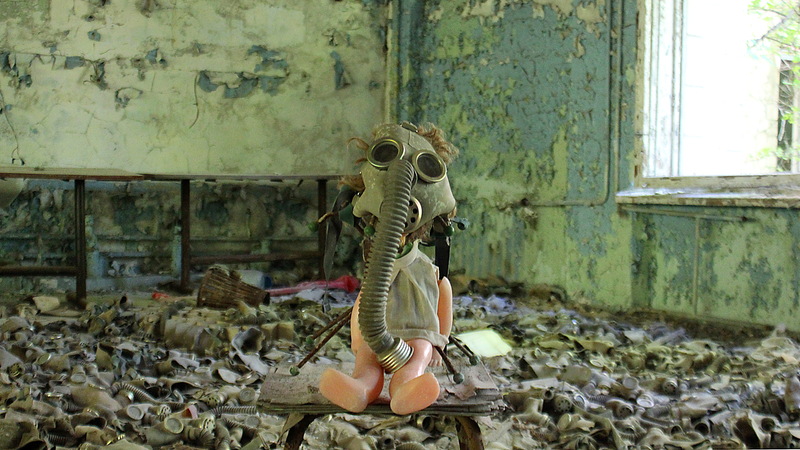 A doll with a gas mask in a local school. While the buildings had not been left untouched, the changes and arrangements made by later visitors added another level of mystery to the area. I was surprised by how freely we could explore the destinations. Once inside a building, there were no restrictions on where could go. Just absolute freedom and joy of discovery. At the same time, the strict time limits meant that you had to decide what you wanted to see. 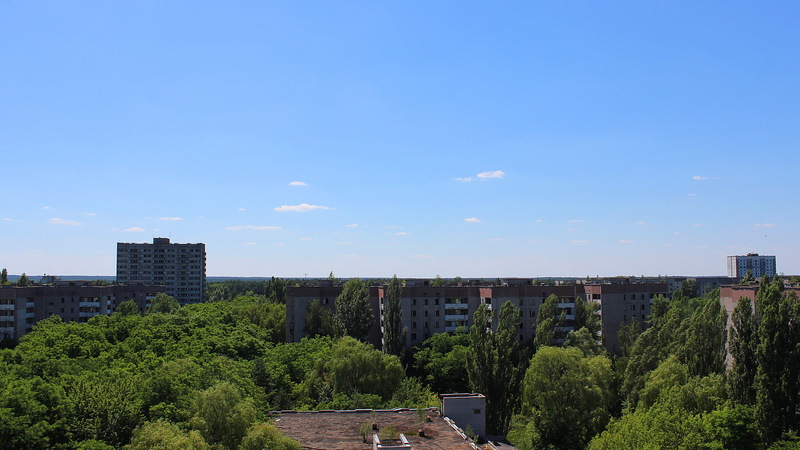 When we were given less than 10 minutes to explore an apartment building, I quickly climbed to the top floor and saw that the entrance to the roof was also open. From the top, I could see many of the other buildings that were very hard to spot from down below. This mixture of liberty and time restrictions is probably the main reason why some people take the tour more than once. While I climbed as high as I could, many of my friends decided to go to the opposite direction and explored the basement of the building. 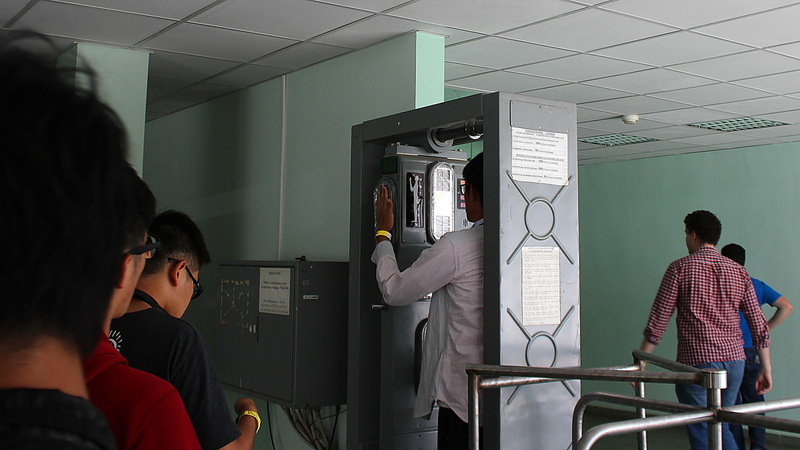 Our radiation levels were checked on our way to lunch and again at the road checkpoints before our departure. The local canteen serves both the local workers and tourists. The food is brought to the site from outside the zone. 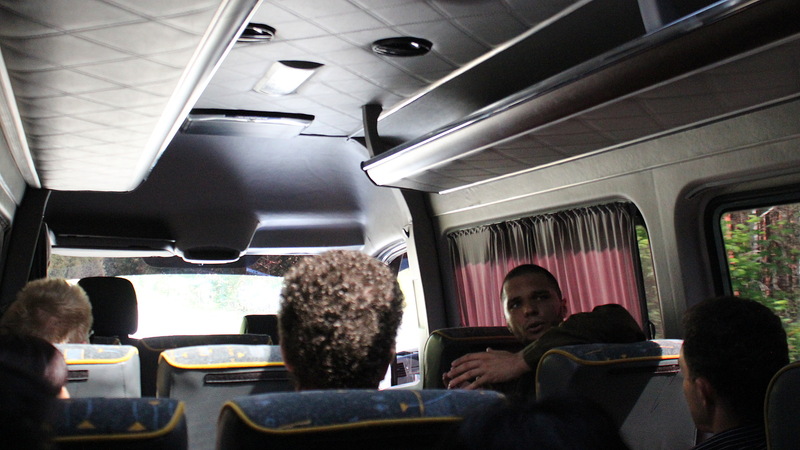 Visiting Chernobyl and Priyat was fun, I was also glad when we finally got back on the minibus and rode back to Kiev. It was an extremely hot day, so I wouldn’t have had any energy or motivation left for more exploring in the evening. 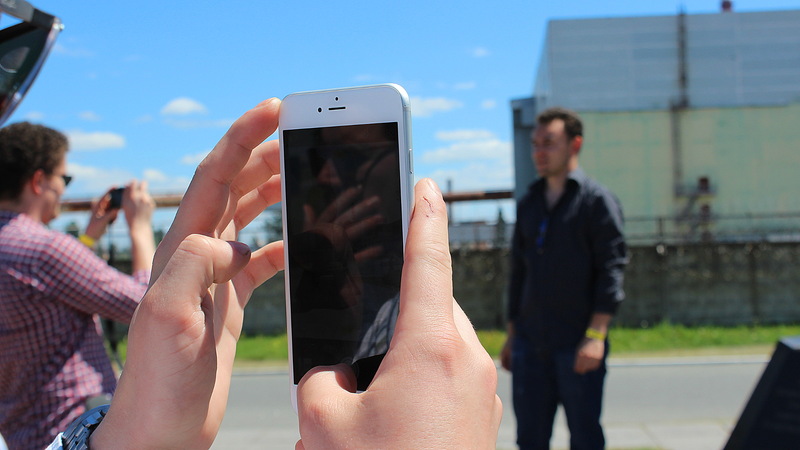 So, did the Chernobyl tour live up to the expectations? Yes, it did. The day was very well organized and memorable. However, those who seek something larger than life won’t find it while visiting Chernobyl. 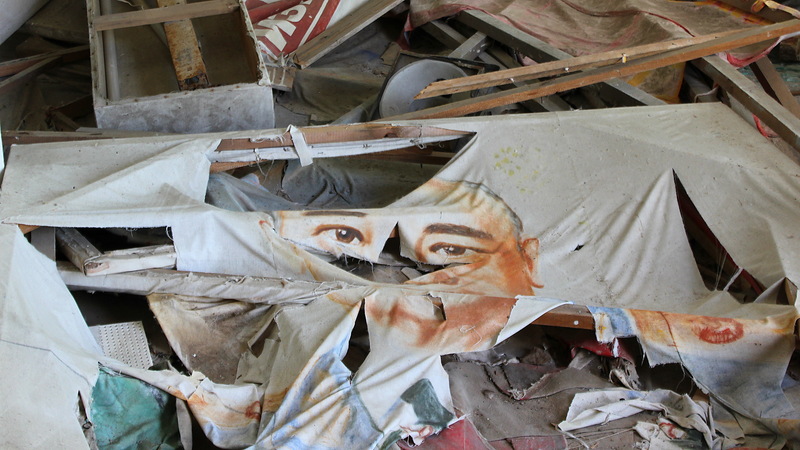 After all, The city of Pripyat was just a small Soviet city with nothing remarkable about. It was in no way different to thousands of other cities of the time and it’s only significant because of the way it was abandoned. It’s completely safe to visit Chernobyl and Pripyat, and visiting Chernobyl is not as extreme as some might think. I already miss that feeling.